Maximum Rate of Fire 900 r.p.m. 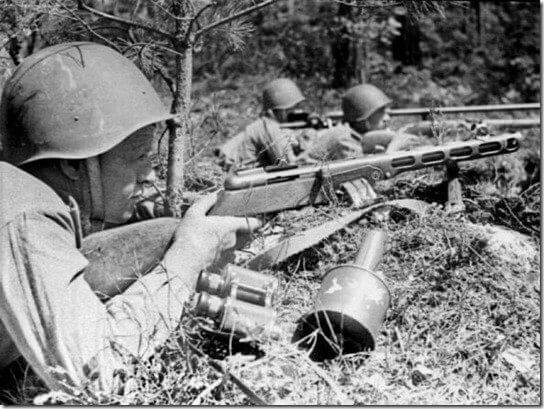 Notes The PPSh-41 (pistolet-pulemyot Shpagina) was designed as a replacement for the expensive PPD sub-machine gun. The PPSh cheaper to produce and came with either a box or drum magazine. It was also more accurate than the PPD and issued in large numbers to infantry battalions and sub-machine gun companies.